out there to help, other than just pain medication. At the very least, reading this report will give you some tools to be feel more empowered and engaged in your own recovery. When it comes to living with Unresolved Back pain and stiffness options can be overwhelming. But everybody we see wants to the answer the these questions. “Why am I still suffering with back pain after putting up with it for the last 3 + months...not to mention trying lots of different treatments and medications”. Most people think that when they get Back Pain, the pain is going to go away on its own. That they’ll wake up one morning and like “magic”, it’ll be as if it never happened… But then 6 months later you’re still living with nagging pain even worse than it was when it came on. 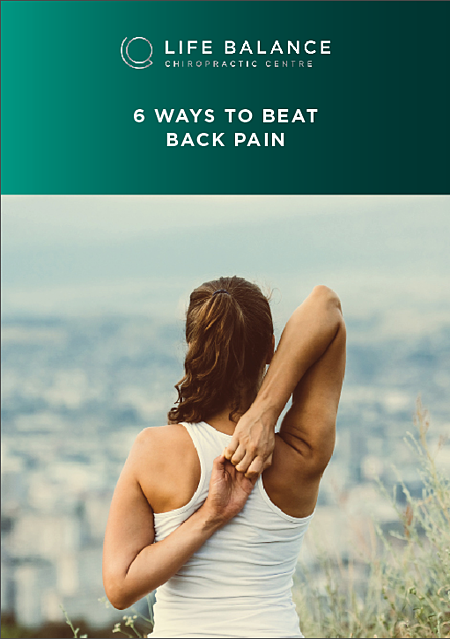 Using these quick wins will put some pain free , engagement and quality back into your life and never have to guess about your back pain again. Just fill out the form below to grab your report, then go fourth and do the work! Absolutely. Just sharing some free knowledge that we hope you’ll find useful. Keep us in mind next time you have questions related to your back pain. Our Chiropractors would be more than happy to help to you answer any questions you may have. LBC is a unique chiropractic system and process that helps families maximise enjoyment, quality of life and life balance. We house an award-winning & recommended family Chiropractors.